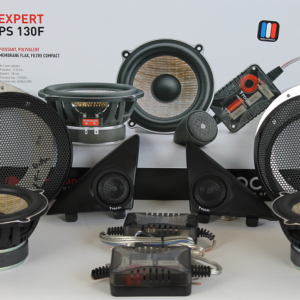 Here are some tips that I have acquired over 30 years of high end car audio experience. When wiring components, solder everything! Solder all connectors. Tin the ends of the wires. Use shrink tubing instead of electrical tape. Doing so will eliminate potential issues in the future. Do not underestimate the importance of proper grounding. Try to put as much effort into your grounding circuit as you do your power circuit as it is just as important. Use the same gauge wire and connectors for ground wire as you do for your power wires. Use proper gauge wiring throughout your system. If you cannot decide which of two gauge to use, go for the lower gauge (thicker wire). Use Deutsche connectors for any connection that must be exposed to the environment. They are expensive but worth it. Make sure to install fuses of the proper size and location in your system. If possible, install a quick disconnect to the positive post of your battery. 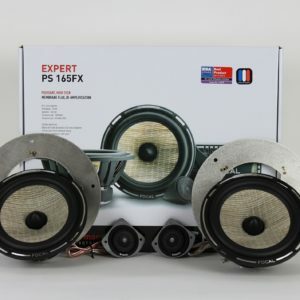 This is a good idea even if you do not upgrade your car audio system. The 458 Italia and Spiders now have a quick disconnect level on their battery, and the panel in the floor and covers the battery is held on only by Velcro now for quick accessibility. When installing aftermarket midrange and tweeters, it is okay to use the existing wiring coming into the door. This is especially true if you are powering the system with a high powered amplifier. On my personal system, I ran heavy gauge wiring into the doors for the component speakers (midrange and tweeters). My personal sound system is running 2500 Watts to the subwoofers and only 500 Watts to the components, yet the components were still so loud that I had to install an inline fader to turn them down. 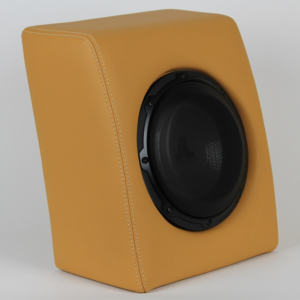 Make sure that any subwoofer enclosure you use is sturdy, especially the surface that the speaker itself is mounted to. Studies have shown that a flexible mounting surface will resonate and result in a loss of sound pressure of up to -3dB. That is half of your sound pressure gone! Scuderia Audio subwoofer enclosures have a whopping 3/4" thick shelf to mount the subwoofers. Be careful to mount any subwoofer enclosure securely. Never use Velcro to secure a subwoofer enclosure, especially when it is carrying a heavy subwoofer. You don't want your enclosure to become airborne if you are involved in a collision. 430/360 Tip: If you want your aftermarket head unit illumination to "dim" when you turn on your headlights, remove the white electrical plug that plugs into the climate control system and tap into the yellow wire. This plug is located right underneath the bottom edge of the square mounting hole for the head unit.